Well, life has been a little unexpected of late. If you know me in real life, you know that I filled our house with smoke last weekend making chicken stock overnight and you know that as a result, we are not living at our house for the next 2-4 weeks. And if you don't know me, you are now caught up - it's been an adventure. 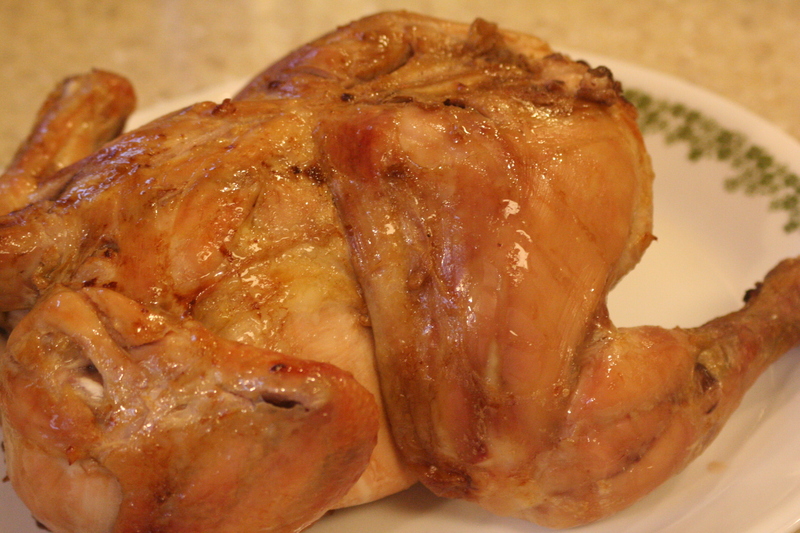 So, it was a bit ironic that I roasted a chicken for this edition of weekend fare. A few jokes were made and I watched that chicken as if my life depended on it. It turned out great and everyone declared it delicious! It has a lovely hint of garlic and lemon. Rinse chicken and clean out. Pat dry. Remove skin if desired (I did). Rub cut cloves garlic all over chicken. 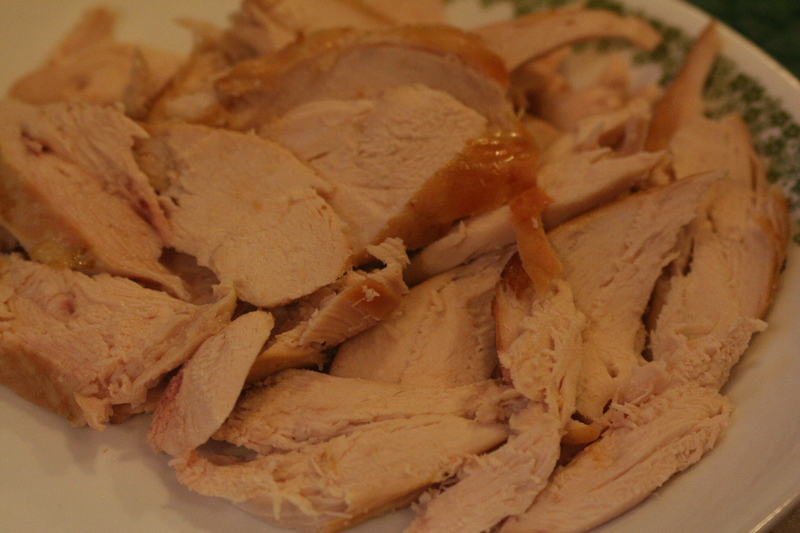 Squeeze lemon all over and put garlic cloves and lemon inside the chicken. Rub with salt and pepper. Roast in a pan on a rack at 350 degrees for 20-25 minutes per pound or until juices run clear. Let sit for 10 minutes before serving. We enjoyed this with sides of baked sweet potato (I put these in when the chicken had about an hour left), hot, buttered peas, and a vegetable salad w/honey mustard vinaigrette (recipe below). Whisk together to emulsify the vinegar and oil. 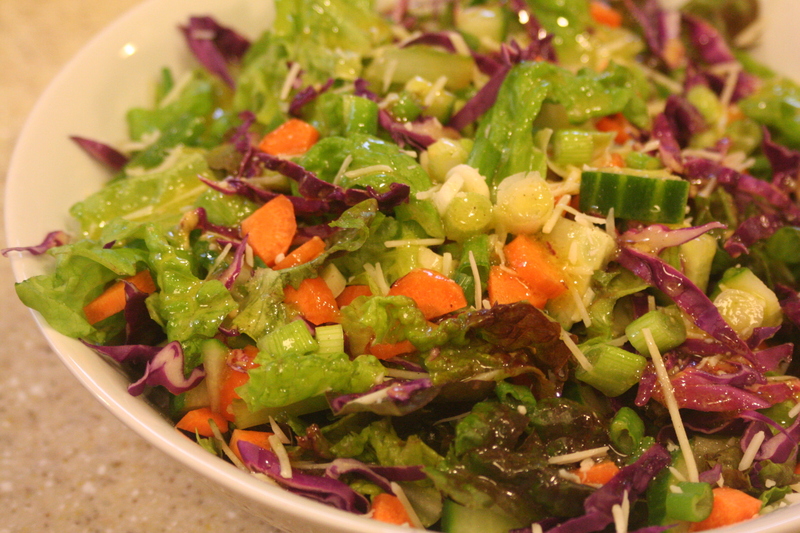 Drizzle on salad and enjoy!